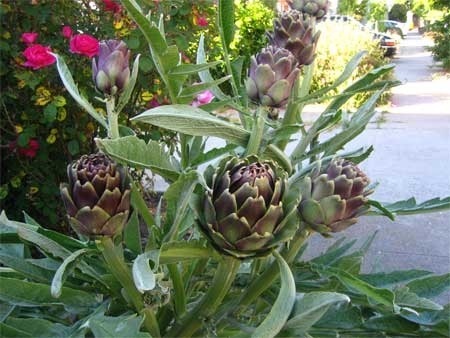 The artichoke is actually a thistle. It grows on a sturdy stem amid deeply cut, silver-green leaves that arch gracefully to give the plant a fountain-like appearance. 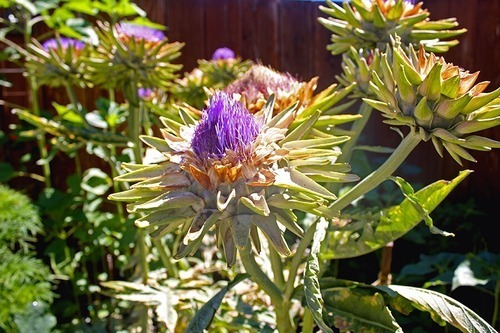 They open into sumptuous, purple thistle flowers that are handsome in fresh or dried arrangements. They’re propagated in winter or spring from root divisions; these are sold bare-root or, more often, potted up. ← Oh Ruby, I Hardly Knew You.